Lydia Deetz Cosplay tunic, from the animated Beetlejuice cartoon. 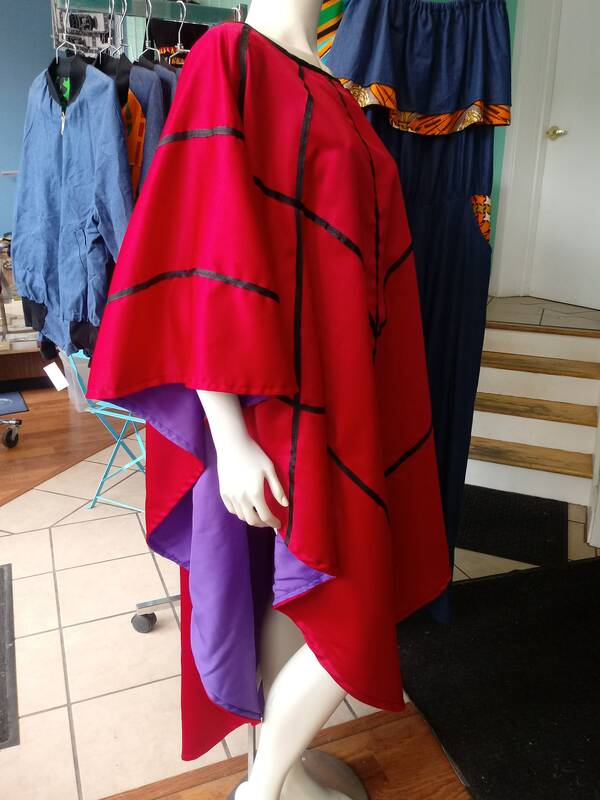 Tunic is poncho pullover style, with red satin outside and purple lining. Black binding is stitched in the spiderweb pattern. A fantastic Beetlejuice costume for Halloween or theme party! Kids sizes also available; contact me for pricing. Perfect poncho for my Lydia Halloween costume! I got lots of compliments over the course of the day. Well made and gorgeous! Absolutely beautiful!!! And fast shipping. Thank you, can't wait to wear this! !